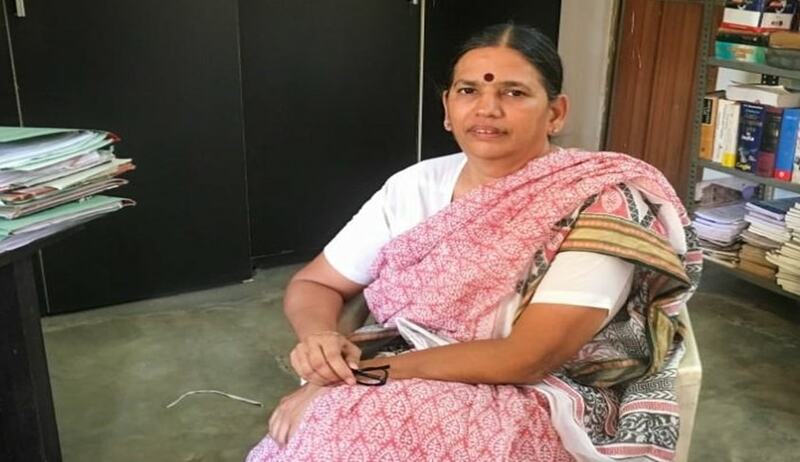 The Punjab and Haryana High court has directed to keep Activist Lawyer Sudha Bhardwaj at her house from where she was arrested at Badarpur border under the supervision of SHO PS Surajkund, Faridabad, Haryana for two days until August 30. This order was issued in a Habeas Corpus petition filed by Ankit Grewal as next friend of the Sudha Bhardwaj who was arrested today as the Pune police carried out searches at multiple places in various states on the residences of activists and lawyers alleging Maoist links. Before the High court, it was submitted that Sudha Bhardwaj is a human rights activist and a visiting faculty at NLU Delhi and also Vice President of PUCL which fights for the cause of general public. The High court was also apprised about the Delhi HC order that directed that rights activist Gautam Navlakha, who was also arrested by Maharashtra police for alleged Maoist links, should not be taken away from the national capital till it hears the matter tomorrow morning. It was also added that till then she should be kept at her residence at Badarpur border in Haryana. Foul Play By Police Alleged. The lawyers for Sudha Bharadwaj alleged that she has not been taken back to her home at Badarpur border, despite the High Court order. Vrinda Grover,lawyer of Sudha Bharadwaj, said that the police refused to inform her about the whereabouts of Sudha Bharadwaj. "Despite repeatedly inquiring from police about the whereabouts of my client Sudha Bharadwaj, they have refused to inform me where she is being taken, except to say that she is in another car, not in their supervision",Grover said. Please note that I have communicted the Punjab and Haryana HC order re Sudha Bharadwaj via whatsapp, SMS and orally over teleconference. The order directs that Sudha Bharadwaj be kept under house arrest at her house near Badarpur border. In my teleconference, you have just informed me that you do not know where Sudha Bharadwaj has been taken. I am informed that you are not taking her to Badarpur to her residence. I have again reiterated to you that this would be in brazen breach of the HC order. Despite my repeatedly inquiring from you about the whereabouts of my client Sudha Bharadwaj, you have refused to inform me where she is being taken, except to say that she is in another car, not in your supervision. You are, as a police officer, required to follow the HC order. The arrests of Sudha Bharadwaj, Vernon Gonsalves, Gautam Navlakha, Varavara Rao, Arun Ferreira, Kranthi Tekula made by the Pune police today in several cities have been decried by several activists.The raids and arrests were carried out as part of a probe into the violence at Maharashtra's Koregaon-Bhima village, triggered by an event called 'Elgar Parishad' (conclave) held in Pune on December 31 last year. Shehla Rashid, Jignesh Mevani, Paranjoy Guha Thakrutha, Teesta Setalvad, Harish Iyer , Harsh Mander etc. have issued a joint statement condemning the arrest "as an attempt by the government to strike terror among those who are fighting for justice for the marginalised". Meanwhile, a group of persons including Romila Thapar, Prabhat Patnaik, Jayati Ghosh and others are reported to be planning to approach the SC tomorrow asking for these wholesale arrests of human rights lawyers and activists to be stopped.